Helicopter crashes can be catastrophic events that lead to serious injuries and even fatalities. Helicopter crash victims can suffer from life-long injuries that have a serious impact on their wages and can cost a lot in medical bills. Although plane crash news tends to receive more media attention than helicopter crash news, helicopter crashes are reportedly more frequent than plane crashes. 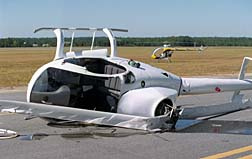 Send your Helicopter Crash claim to a lawyer who will review your claim at NO COST or obligation. According to Mike Kriebel, senior vice president of Aviation Underwriters Association, the helicopter accident rate is higher than the accident rate for other forms of aviation. In 2004, the US civil helicopter accident rate was 8.09 per 100,000 flight hours. The fatal accident rate for helicopters was 1.48 per 100,000 flight hours. The accident rate for "on demand" air taxis was 2.21 per 100,000 flight hours, with the fatal accident rate being 0.78. The helicopter accident rate of 8.09 is as much as 30 percent higher than the accident rate for general aviation, which has an accident rate of 6.22. A 2005 International Helicopter Safety Symposium concluded with participants agreeing that the helicopter accident rate is "excessive and unsustainable over any longer period of time." There are numerous factors that could cause a helicopter crash, such as operational error (including human error and improper maintenance), mechanical malfunction (including faulty manufacture and improper use) and electrical malfunction (including inadequate design and inadequate testing). Each of these causes are preventable, making helicopter crashes that much more tragic. There are also many parties who could be responsible for a helicopter crash, including the helicopter's operator, manufacturer and owner. Helicopters are becoming an increasingly popular way to sightsee, with charter companies offering tours of local areas and trips for adventure sports, such as heliskiing. However, insurance rates for the helicopter industry are high because of the risks associated with helicopter travel. The insurance carried on a helicopter may not be enough to pay damages incurred in a helicopter crash, including loss of life, loss of income and disabling injuries. Helicopters are used for emergency medical services (EMS). However, the National Transportation Safety Board (NTSB) is concerned enough about EMS helicopter safety procedures that it included EMS helicopters in its list of most wanted transportation safety improvements. According to the NTSB, between January 2002 and January 2005, there were 55 EMS accidents that involved 54 fatalities and 19 serious injuries. The NTSB notes that 29 of those accidents could have been prevented with corrective actions. Furthermore, in 2008, there were seven accidents that involved 28 fatalities. If you or a loved one has been involved in a helicopter crash, you may qualify for damages or remedies that may be awarded in a possible airplane crash class action lawsuit. Please click the link below to submit your complaint to a helicopter crash personal injury lawyer who will review your claim at no charge or obligation. Second Helicopter Crash Victim Identified in ..